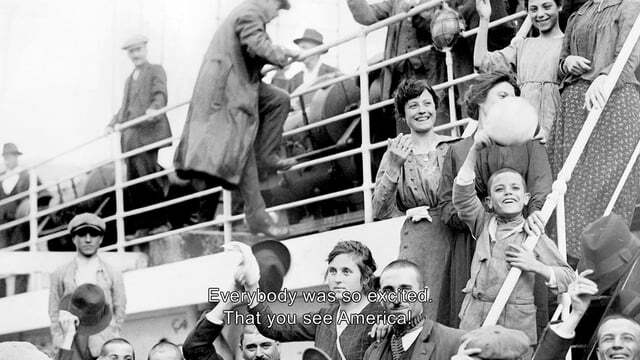 Everyone knows the story of the poor immigrants who arrived at Ellis Island after a transatlantic journey from Europe. The “huddled masses yearning to breathe free” came by the millions in the late 19th and early 20th century, all with one dream—a better life in America. Their long voyage ended as they sailed into New York Harbor past the Statue of Liberty, a beacon of freedom and hope. Many of us have visited the Ellis Island Immigration Museum and possibly even traced our ancestry there. But a new attraction in Antwerp, Belgium tells the flip side of the tale as it unfolded on the opposite shore of the ocean. In the actual brick warehouses where emigrants gathered to board, the Red Star Line Museum sheds light on the almost forgotten history of an American-owned shipping company that from 1873 to 1934 brought more than two million passengers from Antwerp to New York, Philadelphia, Boston and Halifax, most of them poor and oppressed peoples from Eastern Europe; about 25 percent were Jewish. Fewer than 200,000 were Belgians. Among those dreamers was a Jewish family from a Russian town in what is now Belarus. The five-year-old son, Israel Isadore Baline, who traveled on Red Star Line’s Rijnland, went on to become a songwriter extraordinaire and changed his name to Irving Berlin. Had it not been for that voyage in 1893, “God Bless America” and “White Christmas” might not be part of the American songbook. There were some rags-to-riches stories indeed, but it’s mostly the personal testimonies of ordinary folks that dominate the two exhibit floors of the Red Star Line Museum, located in Eilandje, a former dockyard district undergoing redevelopment. The museum is just a short walk from the Kattendijk Dock, where most European river cruise ships berth in Antwerp. The fact that the museum occupies the original Red Star Line departure sheds on the Scheldt River’s Rijnkaai, or Rhine Quay, “adds power to the whole experience,” he added. The humble, decaying buildings had been empty since 2000; the oldest dates to 1894. In putting together the museum’s exhibits Beeleart and his team visited Ellis Island Immigration Museum and Hamburg’s Ballinstadt Emigration Museum, among others. 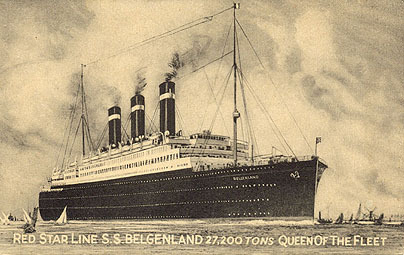 Beyer Blinder Belle, the New York architecture firm that designed the Red Star Line Museum, also did the restoration work at Ellis Island. The eight thematic areas abound with oversized photos and text (including excerpts from letters), artifacts, touchscreen computers, pullout drawers, and audio and video stations. 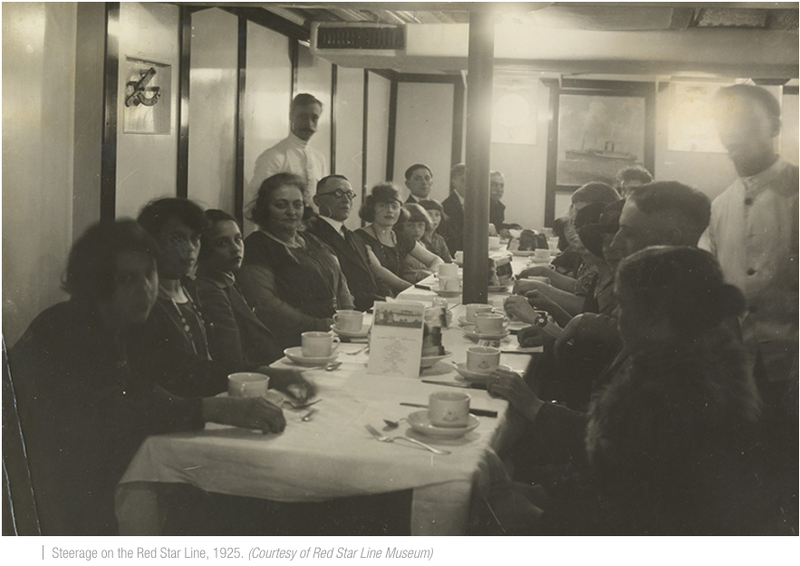 Visitors follow in the emigrant’s footsteps, starting at a Warsaw ticket agency similar to many such offices in Eastern Europe where passengers would have bought their Red Star Line tickets. Next in the sequence is a train compartment for the trip to Antwerp, followed by glimpses of early 20th century Antwerp, procedures in the Red Star Line departure buildings, the deck of an ocean steamer, shipboard life, arrival at Ellis Island and a new future in the United States. 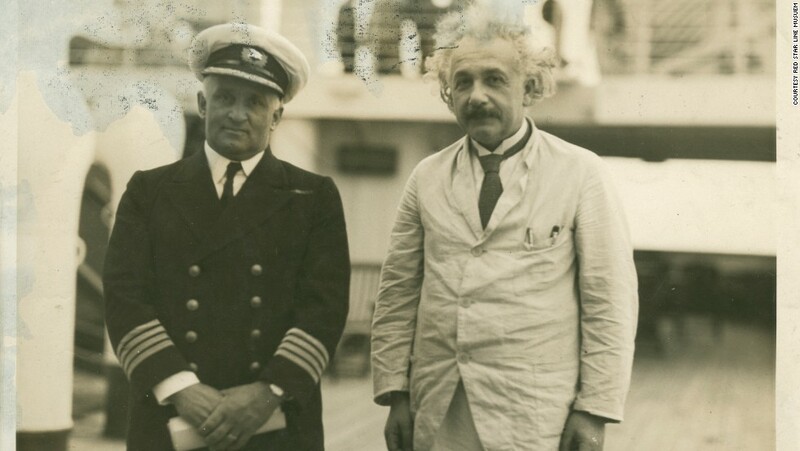 Prior to following the European emigrant’s path to the New World, visitors encounter a timeline of migration throughout human history and installations that spotlight “Six Star Witnesses,” including Red Star Line passengers Albert Einstein and Sonia Pressman Fuentes, the latter a renowned feminist who made the trip from Florida for the museum’s grand opening last fall. Visitors also experience the anxiety that emigrants endured in the very building where they awaited the medical exams that resulted in 2 to 4 percent of ticket holders being rejected for the trip to America, as the line would be liable for repatriating anyone with a contagious disease. Everyone in third class had to take an hour-long shower using vinegar and other solutions; their clothes were fumigated and baggage was sterilized in large pressure boilers. Passengers in first- and second-class (pleasure travelers, businessmen, even an occasional emigrant), however, enjoyed fine dining, deck games and evening entertainment. Sometimes they would throw fruit or candy down to the children traveling in steerage. On display are dishes, silverware, ashtrays and cigarette lighters with the Red Star insignia, plus sample menus, wine lists and pictures of ballroom dancing. 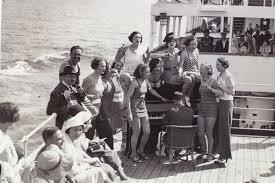 Ironically, songs played in the first- and second-class lounges in the 1920s and ’30s included ones written by a now-famous Irving Berlin, who had traveled in steerage three decades earlier. From its earliest days the Red Star Line promoted its product in artistic brochures and posters, but concentrated more and more on the vacation market once the U.S. clamped down on immigration in the early 1920s. Actual printed materials and touchscreen displays show how the line marketed cruises to “discriminating travelers” who could “leave boredom behind and find solace in the sun” on a trip from New York to Havana, Nassau, and Bermuda. Its 2,500-passenger flagship, Belgenland II, touted a swimming pool and fake beach. During Prohibition, Americans took “booze cruises” to Bermuda, and the line even did seven world cruises. 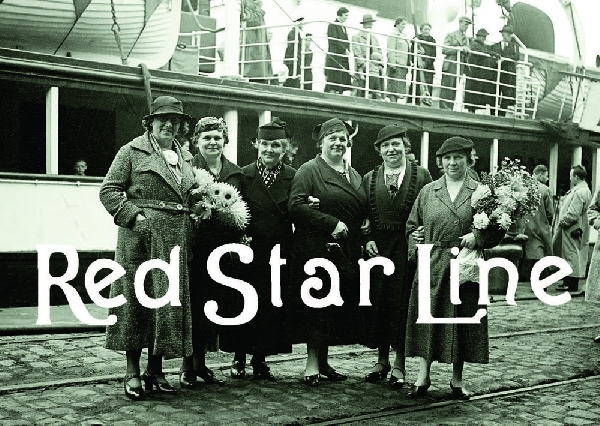 Over the years Red Star operated 23 ships (all with “land” in the name—Pennland, Westernland, Lapland, etc.) and chartered other vessels. Unable to survive during the Great Depression, the company was finally liquidated in 1934. Its demise was a big blow to Antwerp, where “the pulse of the Red Star Line was felt in the very arteries of the city,” wrote one local newspaper reporter. A museum visit concludes with the stories of today’s immigrants in Antwerp and a chance to do online genealogical research of your own. Then climb or ride the elevator up the new concrete-and-steel observation tower, which mimics the chimney and bow of a Red Star Line ship. The open-air platform affords a panorama of quays along the Scheldt—the last scenes that passengers, on their way to an uncertain future, would have witnessed as Antwerp and the Old World slipped from view.